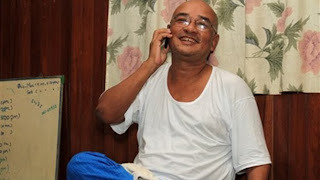 Described as “Burma’s Charlie Chaplin” by well-known journalist Ludu Sein Win, for more than two decades Zarganar has humorously expressed the opinions and feelings that the Burmese people so badly want to express, but dare not for fear of arrest and retribution at the hands of their “Big Brother” government. His satires are as sharp as swords and puns are as swift as arrows, but even while cracking jokes, Zarganar is laughing with tear-filled eyes on behalf of his people. The 50-year-old Zarganar, whose real name is Thura, was one of 200 political prisoners released by the Burmese government on Wednesday as part of an amnesty granted to more than 6,000 prisoners. He has previously been arrested and either detained or imprisoned four times, and his latest term behind bars was a clear case of payback by the previous military regime for his public criticisms of their tardy and inadequate relief efforts in the wake of the devastating Cyclone Nargis. When Burma’s state-run media claimed that the cyclone victims in the Irrawaddy Delta could eke out their survival on frogs and water-greens culled from their immediate environment, Zarganar said sarcastically that the people could also survive on the limbs of the dead human bodies floating in the water. Shortly afterwards, the comedian activist was arrested on charges of violating the Electronics Act, for communicating by e-mail with exiled political dissidents, and the Video Act, for possessing uncensored video footage of Cyclone Nargis. After initially sentencing Zarganar to 59 years in prison, the regime “magnanimously” reduced the sentence to a mere 35 years. In an interview with the Yangon Press International, a Facebook newsgroup, Zarganar recalled how the presiding judge and prosecutor who sent him to decades in prison for engaging in unlawful online communications knew nothing about the Internet. The judge later asked Zarganar where he conducted his communications with exiled activists such as Moe Thee Zun and Aung Din. In response, Zarganar explained that he would chat with the dissidents on Meebo, an instant social networking service that was widely used in Burma at the time because Gmail was banned. In Burmese, however, the word “chat” means cooking and “meebo” means fire stove, so when Zarganar told the IT-clueless judge he would chat with the activists using Meebo, the judge thought the comedian was having fun at the court’s expense by saying he would cook with the activists over a wood stove. Zarganar’s first arrest came after the mass uprising in 1988. He was known to have been roughly interrogated, and there was speculation that the regime had used pliers to pull out his teeth, an excruciating form of torture. But in 1989, the comedian appeared on stage and defiantly joked about his plight: “It’s not true that my teeth were extracted … here they are!” he exclaimed, and then pulled a set of dentures from his mouth. The junta generals, however, were not laughing. A year later, Zarganar was arrested and sentenced to five years in prison for impersonating Gen Saw Maung in front of thousands of fans. After being released, he was banned from performing in public, but couldn’t stop making jokes at the expense of the humorless generals—he turned to writing scripts for his fellow comedians and eventually became the recipient of the Lillian Hellman and Dashiel Hammett Award, given by the Fund for Free Expression. 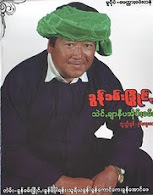 In 2007, Zarganar was once again arrested, this time for offering alms to the protesting Buddhist monks during the Saffron Revolution in 2007. “If it is wrong as a Buddhist to offer alms to monks, then I will convert to Islam today,” he said. When Zarganar was asked by government interrogators why he joined the protesting activist monks, who made up a small percentage of Burma’s total population of around 400,000 monks, the comedian asked in response what percentage of Burma’s population of 50 million attended the military-orchestrated National Convention that had just drafted and approved the new Constitution. On Wednesday, Zarganar picked up right where he left off when he was arrested in 2008, stepping immediately back into his dual role of entertainer beaming with smiles and activist exposing government shortcomings and hypocrisy with his razor-sharp wit—an act of brazen courage given that he was released on the condition that if he were rearrested for any reason, he would have to serve the remaining 32 years of his 35-year sentence. The comedian activist even took an indirect jab at his fellow citizens who are fighting for freedom in Burma. When asked what message he wanted to send to them, Zarganar said he wanted the Burmese people to get away from the “NATO” approach—“No Action Talk only”—and have everyone begin actively working to reform the country. But Zarganar reserved his most biting criticism for the prisoner release itself. "I am extremely unhappy although I have been freed,” he said, in reference to the fact that most of his fellow political prisoners remained behind bars. Zarganar also said that people must question whether Thein Sein’s talk of national reconciliation and the dialogue with Suu Kyi is genuine, and based on how unsatisfactory the prisoner release turned out to be, he didn’t believe it is. He even challenged Thein Sein by offering his own life as a sacrifice if there were any instability as a consequence of the release of political prisoners. He compared the government’s decision to keep the remaining prisoners incarcerated and use them as bargaining chips with the international community to the tactics of Somali pirates holding hostages for ransom. Zarganar also said that he believed those prisoners who were selectively released were the ones who the new government’s leaders felt would work hand-in-hand with them.